I’ve finally arrived in Adelaide after about 34 hours of travelling, door to door. It started with a lift to the airport, 23 hours on a plane (well, nearly, there were just under 3 hours waiting in Bangkok), then more waiting in Sydney before the final plane to Adelaide. It wasn’t a bad a trip as it could have been; I flew business class, finally spending all those airmiles I accumulated 3 jobs ago. It’s been in the plans for a while, but seats to Australia are hard to find on rewards. This one was booked 370 days ago, on the 30th Sept 2009. There was one seat on one flight on one day in the whole of October, so that was all mine. Well worth the wait. A lounge in Heathrow, with a massage at the Spa an added bonus, a further lounge at Bangkok and then a final one in Sydney as I waited for the domestic flight. On board, a flat bed and plenty of food and drink. All in all, a pretty pleasant way to fly, it kickstarted the holiday and I’m not feeling too much effect at the moment, hopefully I managed to avoid a little of the jetlag through some timeshifting over the last few days before the travel. In complete contrast, my accommodation for these 2 weeks or so is all hostels, something I’ve never done before having missed out on the backpack travel bug when I was younger. For this first one, Backpack Oz, I’ve treated myself to a single room; for the others in Melbourne and Sydney, it’s dorm rooms. The plan is to spend money on the experiences, not the beds. There was little to report on day 1. Got into Adelaide early afternoon and the plan was just to stay awake. so starting off with a walk round the southern part of town. Plenty of restaurants and a great market, with plenty of fresh stuff available; the market is also part of the chinatown of Adelaide, so plenty of stuff on sale I’ve never seen. Wednesday was free dinner day at the hostel, so i just enjoyed that and chatted with some of my fellow residents. It’s a real mix, from the traditional backpacker (whatever that is) to people here for meetings or just a quick week’s holiday. This was my walk round Adelaide day. After Wednesday was overcast with a cold wind, today was glorious sunshine. Still a little chilly, but nice and bright. 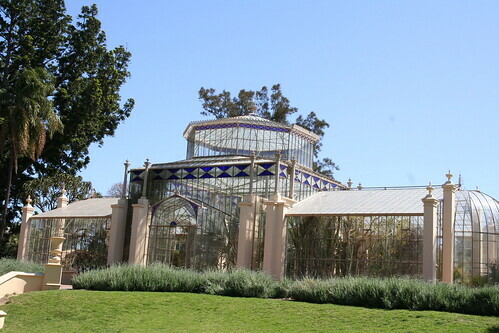 I started off with a trip to the Botanic Gardens, joining one of the free tours round the park. Next, lunch with Shai Coggins, someone I knew from my b5 media days. Last time I met her was in New York. We went to a great little Italian place, San Giorgio, for pizza and chatted about social media, new jobs and travel plans. My next stop was the South Australian Museum, which was basically natural history and ethnography museums. Lots of stuff about the Pacific Islands and the history of the Australian people. On Friday, I joined Groovy Grape tours for a trip up the Barossa Valley to see some winerys. We went to 4, a mixture of big and small. 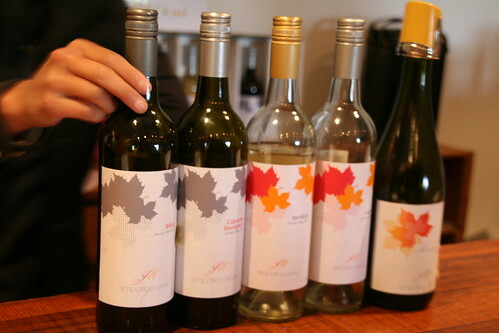 First was Jacob’s Creek, which does far more wines than the generic version it built its UK reputation on. I hadn’t actually realised that it was an actual creek, which is well labelled. One of the oldest wineries in the valley, it’s now a large commercial organisation, run by Pernod Ricard. Next a far smaller winery, Simpatico, a company that had only been up and running since May. No tour here, just a tasting. I bought my first bottle here, a sparkling Voignier. The afternoon started with a trip to Richmond Grove, another winery in the same group as Jacob’s Creek) and had a good tour on how they used to produce wine. 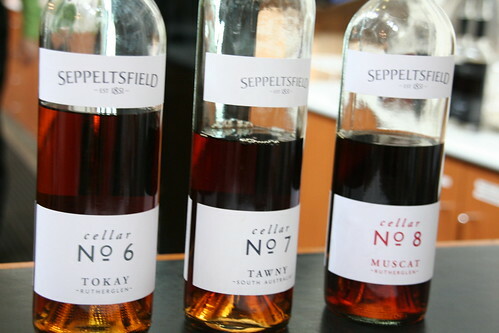 The final trip was to Seppeltsfield, which produces wine and a series of fortified wines. 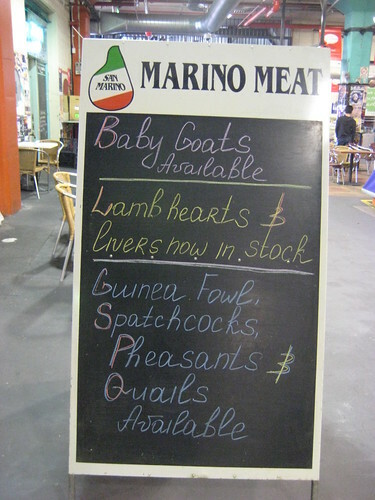 I bought a bottle of tawney from here – they can’t call it port but that is what it is. This winery produces a very expensive 100 year old ‘port’, they started laying down barrels in 1878 and have been doing it every year since. For the final evening meal, I ended up a Kenji, a Japanese/French restaurant where I had a lovely piece of pork belly. That’s the end of the Adelaide part, next stop Melbourne.